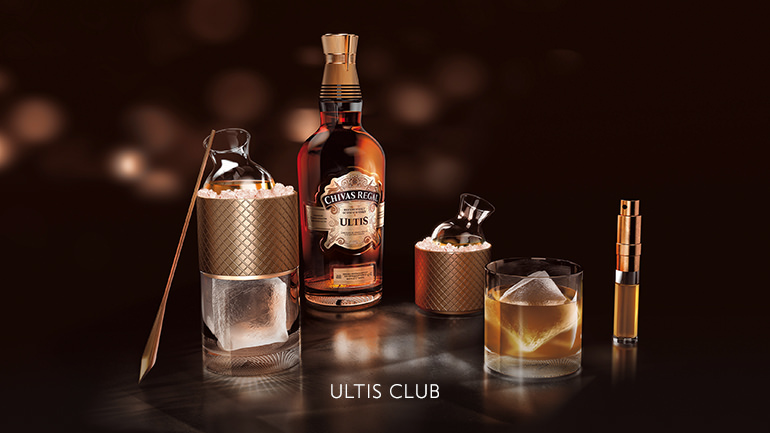 Chivas Ultis is the first blended malt from the house of Chivas. Every drop contains five precious single malts, selected from five of the most cherished Speyside distilleries, in honour of our five illustrious master blenders. 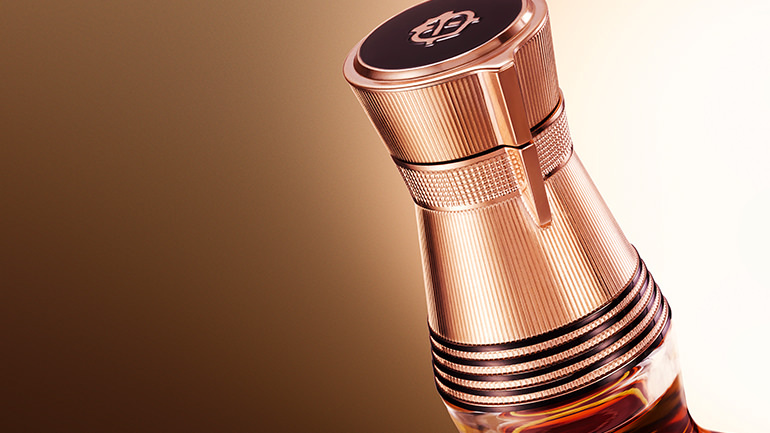 This unique and prestigious whisky is the true essence of Chivas Regal. 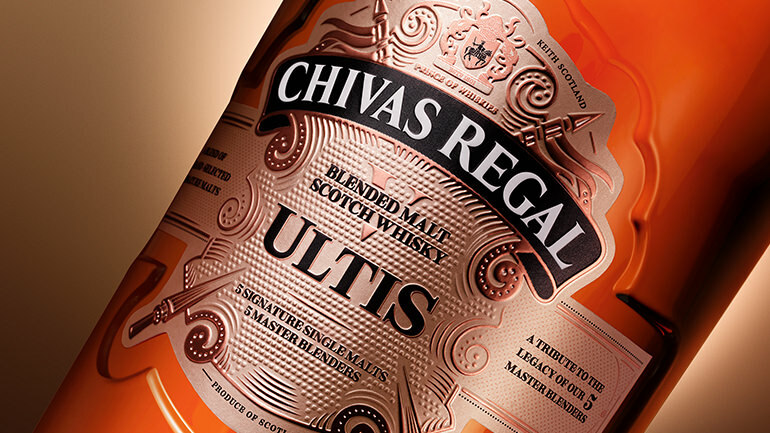 Discover what makes Chivas Regal Ultis our ultimate whisky. 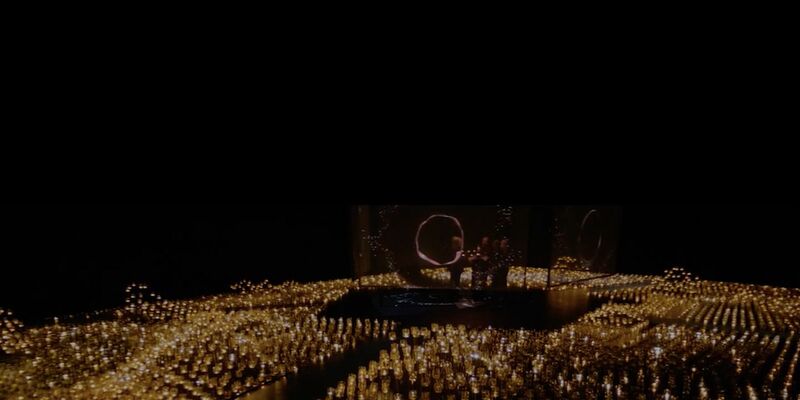 "The first blended malt Scotch whisky from the House of Chivas Regal"
To honour the craftsmen who helped create Chivas Regal Ultis, we revealed their essence in return. Less than 1% of our entire inventory of whisky was selected to make this exquisite blend. 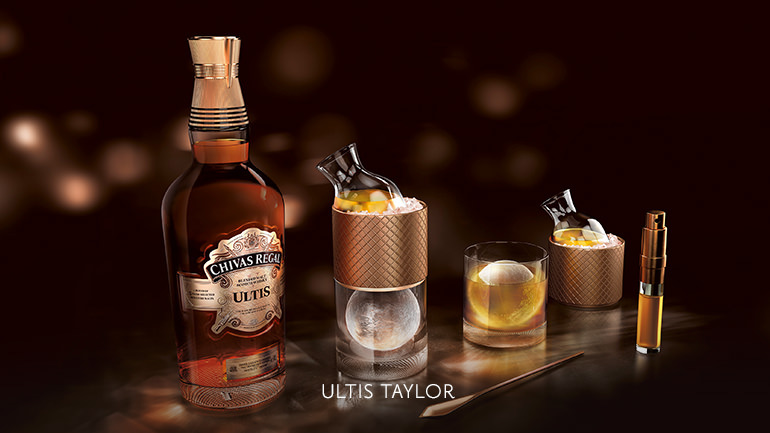 Chivas Regal Ultis. The heart and soul of Chivas Regal. The bottle: a bold unique shape and finish that beautifully highlights the richness and history of the precious whisky within. 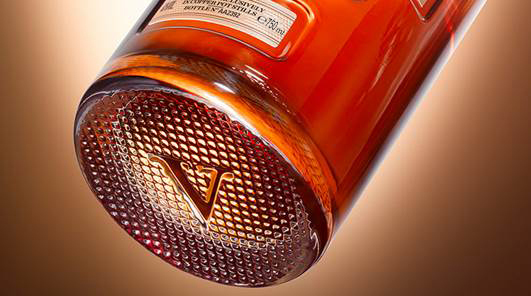 The V: in honour of the blending excellence of five generations of master blenders. The neck: precision crafted and decorated with five rings, one for every precious single malt. In honour of five generations of Master Blenders. 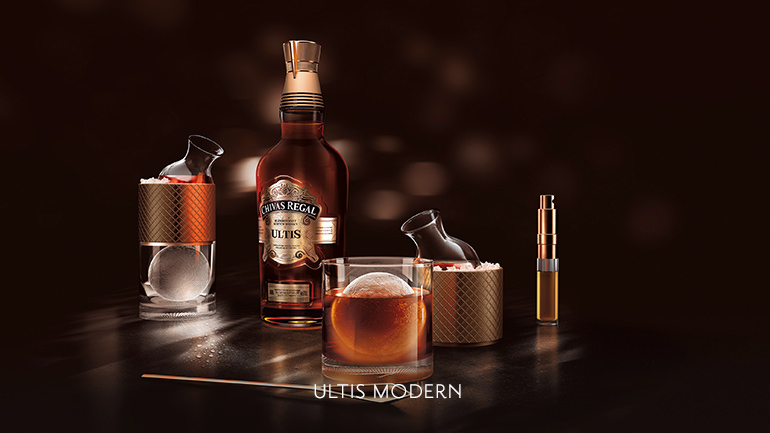 The five men who have in turn maintained and safeguarded Chivas Regal’s blending excellence. The Tormore malt presents the palate with rich citrus orange notes. Longmorn reveals a creamy smooth, vanilla toffee character. The heart of the Chivas blend, Strathisla, has a malty fruity charm with a subtle sweetness. Spice and malt are the signature flavours of the Allt A'Bhainne, which brings balance and subtlety to the blend. Braeval displays a complex, floral taste including thick honey, leather and green notes. 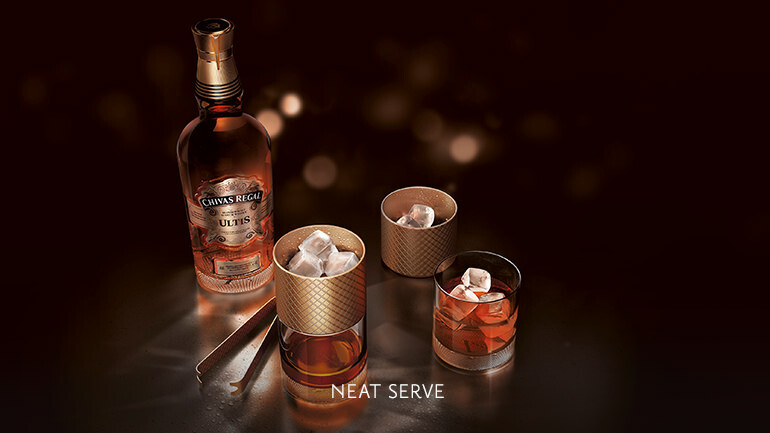 Experience the true essence of Chivas Regal. Enjoy a glass of Ultis without ice or water. 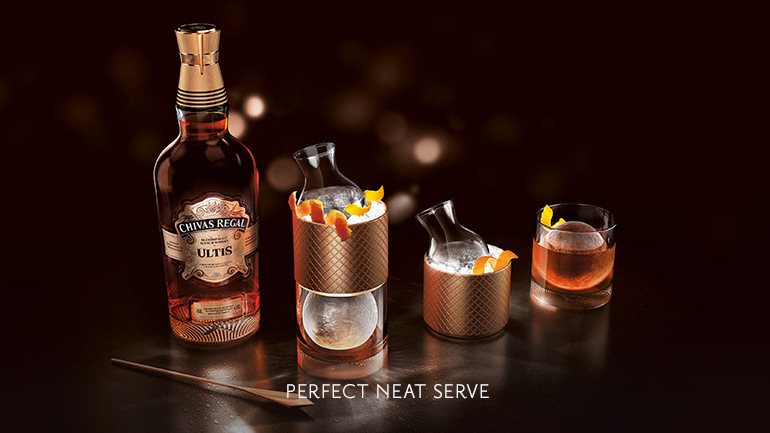 Serve Chivas Regal Ultis with an orange twist to amplify the clementine sweetness of the blend. 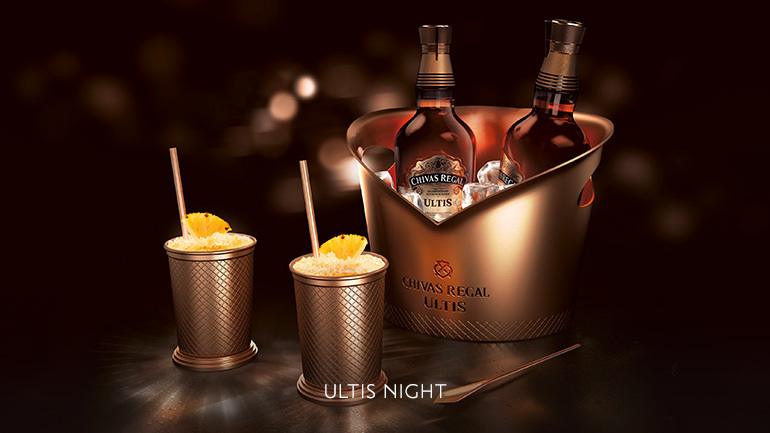 The Braeval malt and its floral influence on Chivas Regal Ultis are highlighted in Ultis Club, which exudes flavours of honey and citrus. Like your whisky with a little kick? Try the Chivas Regal Ultis Taylor, made with bitters, lime and fresh ginger juice. Orange bitters, syrup and anise unite to create this cocktail. A cocktail that really brings out the sweet and fruity notes of the Strathisla malt. 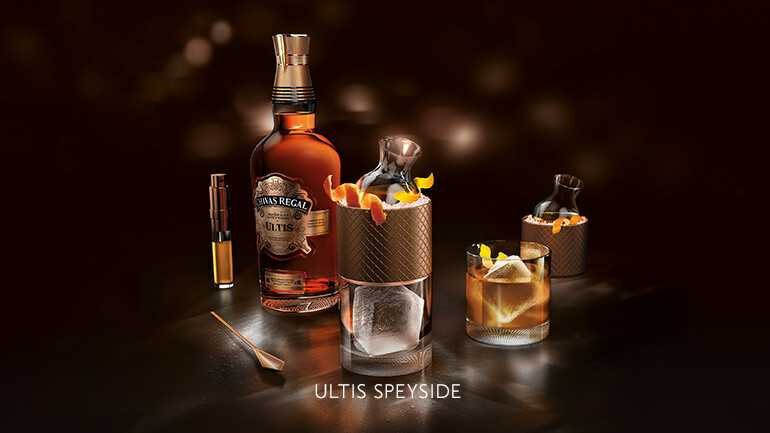 The Chivas Regal Ultis Modern is made with orange bitters, sloe gin &amp; a touch of vanilla liqueur. 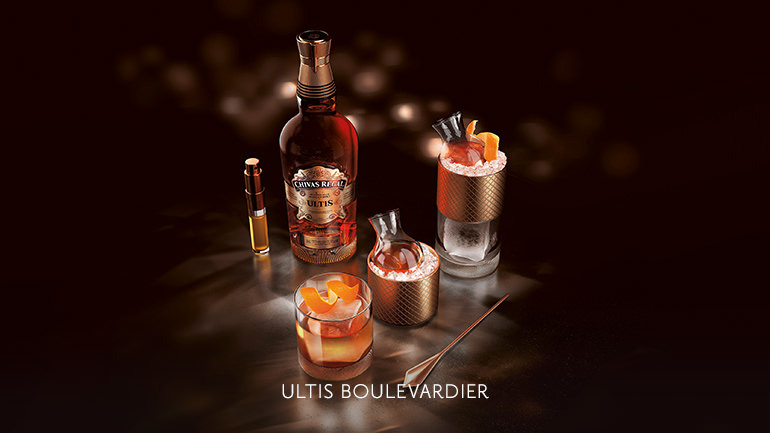 The Chivas Regal Ultis Boulevardier beautifully combines Italian bitters and vermouth, highlighting the the fresh tasting citrus and orange notes. The ultimate punch for the ultimate whisky. A combination of spiced honey syrup, watermelon juice, ginger wine and elderflower.